Against Alfred Newton’s tenure of 41 years as founding Professor of Zoology, the 22 years tenure of James Gray seems rather modest. Gray, however, did much to set the overall character and course of the Department from the 1930s onwards. In their booklet Professors and Portraits, William Foster and Paula McPhee describe Gray as ‘the pivotal figure in the history of the Department, and indeed one of the most influential figures in biology in the UK during the first half of the 20th century’. Many who have studied zoology in Cambridge will have spent time in the Balfour Library under the gaze of James Gray, although they may not have realized it. The bronze bust of Gray occupies a commanding place in the Library, and even the most philistine of students will have recognized it as a distinguished work of art, even if they did not know much about its subject. The bust was completed in 1956 only three years before the death of its creator, Sir Jacob Epstein (1880-1959) whose best known portrait busts are probably those of Joseph Conrad (1924) and of Albert Einstein (created in 1933 when the sculptor and physicist met in deepest Norfolk). The sculpture of James Gray was funded from the many donations of those who had known and admired him, and it is surely a measure of their respect that such a notable artist was chosen. James Gray is also represented in the photographic collections of the National Portrait Gallery. He was photographed in1953 in a series of prints by the Cambridge photographer Antony Barrington Brown. These photographs show Gray in various laboratory settings in the Department with equipment and models that he used in research and teaching. The Gallery also has prints by Elliott and Fry, and by Walter Stoneman whose evocative bromide print of 1931 shows a fuller-faced Gray, without spectacles. Given James Gray’s somewhat ascetic and aquiline later appearance, so well captured by Epstein, Stoneman’s photograph reveals a relaxed confidence and warmth, but still coupled with a determined and piercing gaze. This, surely, is the man who was decorated with the Military Cross, and the Croix de Guerre avec Palme, pinned on him on the field of battle by Maréchal Foch with a citation from Maréchal Petain. Gray emerged from the First World War as a Captain: he had served throughout (in the Queen’s Royal West Surrey Regiment) and it is hardly surprising that the Royal Society Biographical Memoir of Gray, written by Hans Lissmann (1909-1995, and himself a long-standing member of the Department) records periods of depression suffered for some time after the War. As Hans Lissmann said ‘World War I was not a topic James Gray liked to talk about’. James Gray was born on 14 October 1891 in London, to parents who were both Scottish. In later years, Gray was always happy to be in Scotland both for work and holidays. His father headed an engineering company, and his family had no particular biological interests. Gray was educated at the Stationers’ Company School and Merchant Taylors’ School, and in 1909 he won a Foundation Scholarship to King’s College. After graduating with a First in both Parts I and II of the Natural Sciences Tripos (he got the Frank Smart Prize for Zoology) he took up a Balfour Studentship to the Naples Stazione Zoologica, for 1913-14. While still an undergraduate, and with the encouragement of the then Professor of Zoology, Stanley Gardiner, Gray had worked with Leonard Doncaster, also at King’s, on fertilization in echinoderms. Doncaster (1877-1920) was an early geneticist and served as Superintendent of the Museum of Zoology from 1909-1914. Gray continued the echinoderm work in Naples, giving a precocious lecture on his findings at the Royal Society in 1914. And then came the War. After the War, Gray returned to a Fellowship at King’s and to the Department. He took his activities in both spheres with a characteristic sense of responsibility, but as he progressed from Demonstrator to a Lectureship it was apparent that his expanding commitments in research and University teaching meant that he simply had to reduce his college involvement. In1928-29 James Gray went on a touring sabbatical in the United States; and not surprisingly, given his interest in marine organisms, he particularly enjoyed his time at Wood’s Hole. Also in 1929 he was elected as a Fellow of the Royal Society. Although he was a relatively young Fellow, he already had a strong reputation in the field of ‘experimental biology’ (the quotes are because many at the time, including Gray, had no clear or restrictive definition of what ‘experimental biology’ actually was, and perhaps this was a strength). Gray was to go on and be awarded the Royal Society’s Royal Medal in 1948, and, among many other subsequent honours, he was knighted in 1954. In 1962, after he had retired, he succeeded Sir Julian Huxley as President of The Eugenics Society, reflecting a long-standing concern with the place of biology in the consideration of human affairs. The Eugenics Review for 1962 records that Gray concluded his address as, President of the British Association in 1959 by saying that we should have "the courage to believe and to teach that [man] can, by means of his intellect, control and direct his own evolution and destiny." This is a statement that modern sensitivities will surely find rather problematic, but it is worth bearing in mind that Gray’s experience throughout the First World War would have exposed him to human carnage, misery and stupidity on a colossal scale, and The Eugenics Society by this time had largely turned away from the issues that its name still implied towards biometrical matters on one hand and a more general concern with human society on the other. Part of Gray’s early reputation was undoubtedly connected with his highly effective editorship first of the Biological Proceedings of the Cambridge Philosophical Society, and then of The British Journal of Experimental Biology (later, as still, simply the Journal of Experimental Biology). In the case of the former journal, Gray had been one of those who had agitated for a split of the Society’s publication into separate biological and physical journals, and he continued his evangelism for experimental biology by taking on the inaugural editorship as a means of encouraging submission of manuscripts in that area. There is perhaps a small irony in Gray’s support for separate biological and physical journals, because he firmly believed that the primacy of experiment and measurement, associated at that time more with the physical sciences, should be at least accommodated into the biological, where primacy of place had generally been given more to observation, description and interpretation. The history of the Journal of Experimental Biology, and its connection with the formation of the Company of Biologists, has been treated briefly in another of these biographical sketches dealing with G.P. Bidder who, along with Gray effectively bailed out the journal and ensured its rejuvenation, both financial and scientific, under Gray’s editorship, a role that he maintained until 1954. It seems to have been partly what Gray saw on his trip to America in 1928-29 that convinced him that the Department of Zoology in Cambridge needed new facilities, indeed an additional new building. He found enthusiastic support from the then Professor of Zoology, J. Stanley Gardiner, and the two of them oversaw the planning and financing of the 1934 rebuilding of the Department. The bulk of the planning was carried out by Gray, who was closely involved, for example, in the design of the steel frame that supports the 19th century street facade to what we now know as the Main Building. 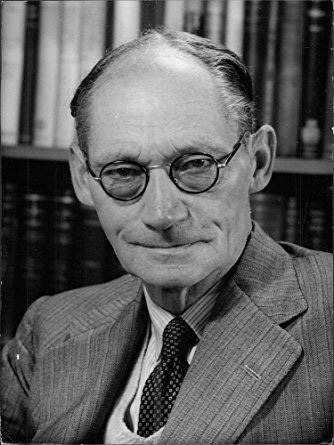 It was no surprise that, when Gardiner retired from the Chair in 1937, it was Gray who was appointed as his successor, the fourth Professor of Zoology. It is abundantly clear that Gray’s professorial legacy remains apparent in the current character of the Department. As Hans Lissmann puts it, ‘The qualities he was looking for in staff and in research students were their scientific curiosity, and an ability to formulate the right sort of questions.’ These qualities now probably strike us as unexceptionable, but, importantly, Gray, by increasing the size of the Department and introducing common areas and activities, ensured that there were mechanisms to support this ethos. Gray’s lasting achievement is a Department of a critical size, enough to represent the spectrum of zoological investigation while, at the same time, maintaining a homogeneity of outlook and purpose. In other words, for scientists and support staff, a satisfying environment and a happy one (even though his legendary decree, recorded by Donald Parry, that the Department was to have only one telephone, in order to prevent the wasting of time, has sadly long since been countermanded). In 1933 Gray published the first of his papers in a running series in the Journal of Experimental Biology, under the general heading of ‘Studies in animal locomotion’. Article VIII, the last of that series, was published in 1939, the year in which Gray delivered the Royal Society’s Croonian Lecture on ‘Aspects of Animal Locomotion’, only six years after he began his work in the field. From 1915 through to 1937, the vast majority of Gray’s papers were single-author papers, but in 1938, although he continued to publish single-author papers, he began a fruitful and lasting collaboration with Hans Lissmann. Their classic work included studies of both vertebrates and invertebrates, and found its way into many textbooks: how many generations became familiar with earthworm locomotion through the figure from Gray & Lissmann in Grove & Newell’s A-level textbook Animal Biology, for example? The last paper with Hans Lissmann dates from 1964, some years after Gray had retired as Professor of Zoology; it was on the locomotion of nematodes and, fittingly, in the Journal of Experimental Biology. Apart from an obituary for a colleague, and his book Animal Locomotion, this was his last publication. With scrupulous honesty, Hans Lissmann notes that, ‘On the whole it was a great pleasure to collaborate with him and share in his obvious delight when an experiment produced clear-cut results. On occasions, however, he could be exasperating by his impatience ...’ The emphasis on framing relevant and answerable questions and conducting well-constructed experiments with the aim of ‘clear-cut results’ surely has an obvious legacy in, for example, the work of Arthur Ramsey and, more recently, Malcolm Burrows among many others in the Department, including Carl Pantin, (who succeeded Gray as Professor of Zoology in 1959), Martin Wells and Charlie Ellington; and it continues with many current investigators. Gray’s later reputation appears to have been of a somewhat stern and autocratic personality, and the later images of him do rather reinforce that impression. Certainly, Hans Lissmann, who knew him so well, tells us that, ‘Although he liked to call himself a ‘Gladstonian Liberal’, anyone who has seen him in action in a committee, or as chairman of a committee, will have realized that several interpretations of the term ‘liberal’ are possible.’ However, Lissmann is also at pains to emphasise that in Gray’s earlier years at King’s he was a notably kind and popular Dean and Director of Studies, that he was a fine and entertaining raconteur, and that, in the right company, ‘During such social occasions James Gray was very good company indeed.’ It is surely relevant to record that in 1951 Gray was chosen to deliver the Royal Institution Christmas Lectures for children. Gray’s marriage to Norah King (in 1921) was a long and happy one, with two children and a warm home life. And that forbidding bust by Epstein? Well, Hans Lissmann again: ‘ The unveiling of the bust in the departmental library was a memorable occasion; seeing so many faces from the past seemed to touch Gray and inspired him to an address, sparkling with wit and good humour, which few of those present will forget. In 1961, after his retirement, Gray was honoured in a more intimate way by a small group of his closer friends and collaborators through a Festschrift entitled From cell to organism — and, above all, by a dinner party of most remarkable quality. It was a good party!’ Incidentally, the Royal Society Biographical Memoir of Hans Lissmann, himself, was written by R. McNeill Alexander (1934-2016) who was a Ph.D. student of James Gray, and whose own book Animal Mechanics was published in 1968, the same year as Gray’s Animal Locomotion. Both of these books are referenced by another scion of the Department and inheritor of Gray’s ethos, Matt Wilkinson, in his own recent account of animal movement, Restless Creatures (2016) published by Icon Books (and available in all good bookshops). In writing this biographical sketch I have drawn information particularly from the Royal Society Biographical Memoir of Gray by Hans Lissmann, from an obituary in the Journal of the Marine Biological Association by Sir Alister Hardy, and from the booklet on Interesting People Buried in Grantchester Churchyard (where James Gray’s ashes were scattered, and he is commemorated by a memorial tablet) by Donald Parry.